EMA: As our newest Board Member, what attracted you to EMA’s mission? Jordana: As a mom, I feel that we have to do something. I love that EMA is educating everyone and including young people such as Jaden Smith in the conversation. Further, I want to have an impact on how my kids view this problem. Taking the environment into consideration isn’t part of my generation’s lexicon, and I want it to be the norm for my children. They should take into account what effect they are having on the planet with every choice they make. I believe EMA is making this a reality. EMA: Have you always been environmentally-conscious, or was there a particular event/moment that changed your outlook? Jordana: I have not. Since my childhood in New York, I’ve become more cognizant of the issues because, as a society, we are more aware of the effects. We can’t afford to be ignorant; we can’t afford to be complacent. Regarding food, when I became a mother I decided I needed to make a conscious effort myself to make sure they’re getting essential nutrition and to avoid manipulative marketing and unhealthy options. It’s something you take for granted. I grew up in Rio and I didn’t have to worry if my food was being genetically manipulated, now we have to think about it. EMA: You appeared in our GMO-labeling campaign this past summer, your second with EMA about GMOs. What other sustainability issues are you passionate about? Jordana: A friend of mine said you could either take the red pill or not, but once you take it, there’s no going back. That’s so true when it comes to being environmentally conscious. Once you know what you’re doing is harming the environment you can’t in good conscious keep doing those things. An example in my own life is that I used to drive a Range Rover. I told Debbie Levin, EMA President & CEO, that I couldn't give that up, and she simply said: "Give it time. You will." After learning more about it, I now happily drive a hybrid. It’s taking steps, big and small, to mitigate the harmful effects of our everyday actions. I think initiatives that some schools are pioneering such as eliminating food waste are tremendous and will soon be the norm. The more people learn and see others doing it differently, the more they will adapt their habits. EMA: As a mom of two, what’s important for you to do in your home to keep as many chemicals and toxins away from your children? Jordana: It’s critical to know what’s in the products you are using. For instance, with some diapers, if it gets wet it can disrupt their endocrine system. I’ve sought help to make sure I can avoid those things, but I’m always learning. I mean, even your couch can be made of harmful materials. You don’t want to get paranoid about it; you must be conscious and do what you can. I use glass bottles, BPA free plastics, eco-friendly laundry detergent, green cleaning products, no microwave, things like that. Our children’s systems are so pure, and I don’t want to pollute them with toxins I can avoid. Thankfully this consciousness is becoming the norm, but there’s plenty of work to be done. EMA: Do you have any environmental resolutions for the New Year? Jordana: Yes, I do. Every time I go to the coffee shop I leave with like four plastic cups and plastic straws. I feel so bad about it because I know I’m contributing to our planet’s serious plastic pollution problem. My goal is to reduce the amount of single-use plastics I use for my morning coffee and go from there. Join me! Here is my challenge: Let’s all try to avoid single-use coffee cups and straws this year. MAJOR ANNOUNCEMENT! 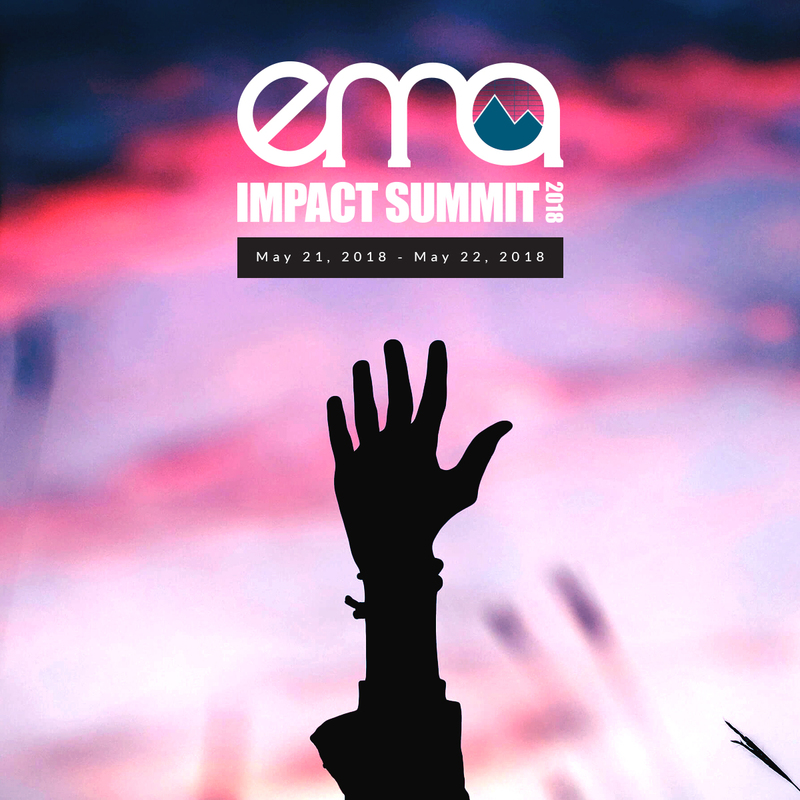 We have officially released the dates of the 2018 EMA IMPACT Summit: May 21st & 22nd. With over one billion media impressions, last year's inaugural Summit was a massive hit, and we plan on doubling the impact this year. With an Administration that favors big polluters, we need to promote a green economy now more than ever. Together we can show the world that a sustainable economy is a prosperous and conscious economy and that we all have the power to make a change for our future. Join our exclusive IMPACT mailing list to be the first to find out about early-bird pricing, speaker announcements, and more! Click the link below to sign up. Here at EMA, we do not like the idea of single-use. As Honoree Natalie Portman so eloquently spoke about at the 2017 EMA Awards, our culture of convenience and single-use is putting a strain on our relationship with the planet and each other. For this reason, we emphasize reusing, re-purposing, and rethinking. We believe an item can and should have more than one use and purpose. At our Awards, Bona, the world leader in hardwood floor care and maintenance, provided a stunning rustic white oak hardwood floor for our Green Room. After an incredible night, and many stars walking on our floor, we set out to find the floor a new home instead of having it sit in storage (or worse, in a landfill). Thanks to our friends at Green For All we were able to connect with Time for Change Foundation's local transitional facility Sweet Dreams based San Bernardino, CA. Time For Change helps empower low-income women to regain control of their life and build a better future. The perfect home was found for the perfect floor. In January, Bona Certified Craftsman®, WC Hardwood Floors Inc. installed the floor. The repurposed floor was unveiled (along with a year’s supply of Bona’s eco-friendly hardwood floor care products) to the delight of the families living in the facility. From one home to another, just a little change can make a significant impact. Help EMA and Bona inspire others to reuse and repurpose! Click here to SHARE our video on Facebook. "Connecting communities to organizations like Bona that are giving back is the heart of our effectiveness. And bringing new life by recycling a hardwood floor to create a beautiful space for Sweet Dreams is a fantastic way to showcase lessening the impact on our environment," said Debbie Levin, President & CEO, EMA. "Role modeling and sharing with our global community how easy it is to create this kind of recycling while benefiting a new facility is how our voices for sustainability can be heard." "It's an honor for us at Bona to connect with our community in an important and impactful way. Since 1919 giving back has been core to our business," said Cate Vanegas, director of marketing, Bona US. "Everyone deserves a second chance when they come out of prison. 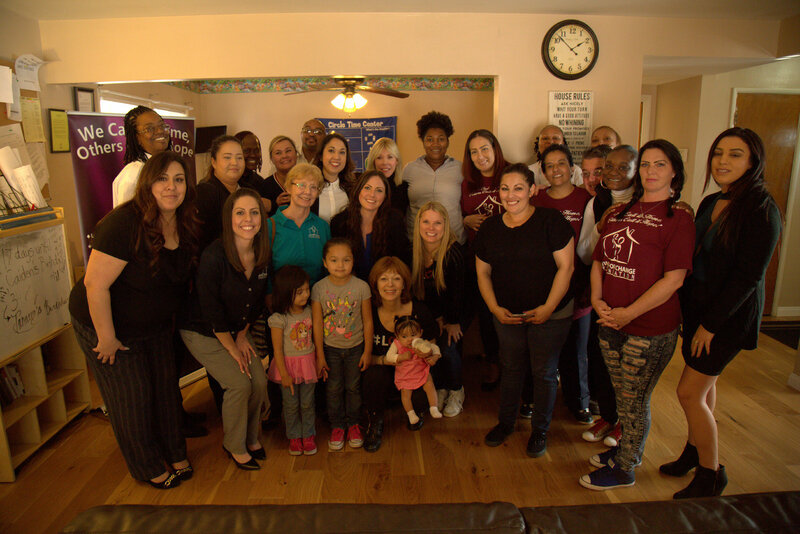 That's what the Time For Change Foundation provides the women enrolled at the Sweet Dreams Shelter," said Van Jones, president of The Dream Corps. "I'm thrilled that the Dream Corps' Green For All initiative was able to collaborate with Bona and the Environmental Media Association to repurpose flooring used at the EMA Awards to give back in this way." We want to thank everyone that was involved in helping, and we look forward to repurposing and reusing more items from future EMA events.